Christmas can be a difficult time for children who are vulnerable or in care. You can make them feel special with a £10 book gift. 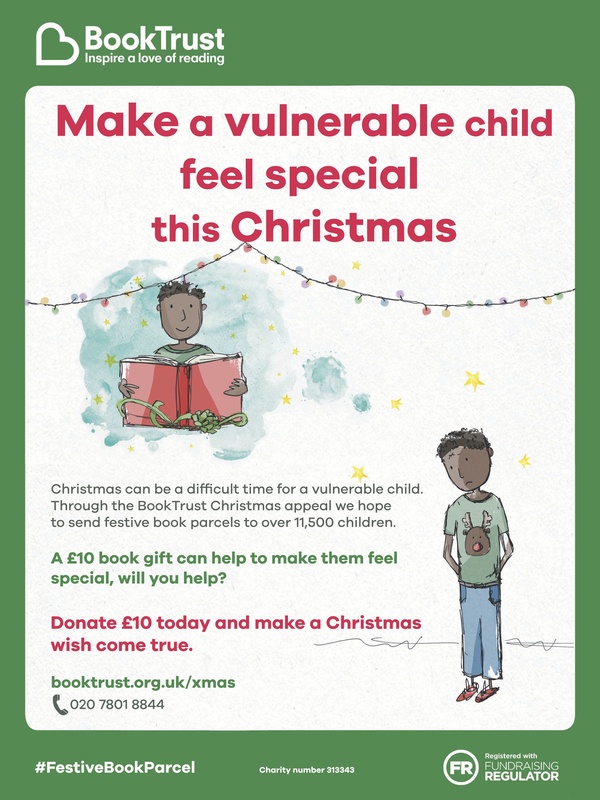 The Book Trust has a Christmas Campaign where through their Letterbox Club, they send book parcels out during Christmas to children who are vulnerable or in care. For many children, it may be the first time they have had a letter or parcel through the post. For some, these may be the first books they’ve owned. This Christmas, The Book Trust want to make the children feel special by sending a surprise festive book parcel. Your donation could help us send book gifts to over 11,500 children. I think a lot of us take it for granted that we can buy loads of books all year round when there are children out there who can’t afford 1x book a year. It is actually really sad that this campaign has to even happen, but also really fantastic that so many people donate and make a child’s Christmas that extra bit special when it could be a hard time for them.